"When I read The Rails Way for the first time, I felt like I truly understood Rails for the first time." 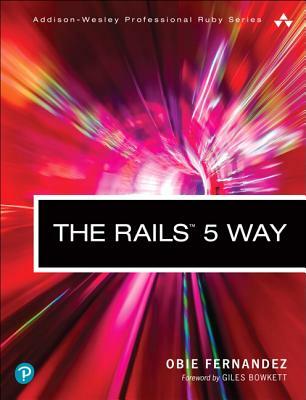 The Rails(TM) 5 Way is the comprehensive, authoritative reference guide for professionals delivering production-quality code using modern Ruby on Rails. Obie Fernandez illuminates the entire Rails 5 API, its most powerful idioms, design approaches, and libraries. He presents new and updated content on Action Cable, RSpec 3.4, Turbolinks 5.0, the Attributes API, and many other enhancements, both major and subtle. Through detailed code examples, you'll dive deep into Ruby on Rails, discover why it's designed as it is, and learn to make it do exactly what you want. Proven in thousands of production systems, the knowledge in this book will maximize your productivity and help you build more successful solutions.